The Hong Kong Massacre is a great Hotline Miami clone, which offers a colorful and really exciting action. The Hong Kong Massacre is a classic case of style over substance. The beauty of the title's slow-motion bullet ballet is just a fancy cover for its frustrating, un-evolving gameplay. Unfortunately, The Hong Kong Massacre bode well beyond anything that came into our hands. The game seems more the son of the attempt to emulate a great success than the birth of a concrete and coherent vision. You may enjoy the game if you like John Woo's action movies. The Hong Kong Massacre is obsessed with fist-pumping, high-octane action and is a great offering for action fans that enjoy the likes of Hotline Miami. The first two hours are largely spent finding the game's wavelength, but the pulsing energy of the design helps propel you along. Before long, you'll be swan diving through windows and lighting up rooms with gunfire in pure action bliss. The fact that it was made by just two people does show in a lot of areas such as the visuals, story, and repetitive boss battles but none of those outweighed the good times I had with it. 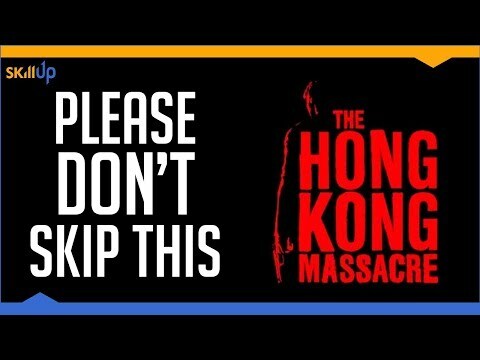 The Hong Kong Massacre is another example of how a game's flaws can hold it back, not allowing it to become what it could have been. The game is really fun at its core, but problems like limited gameplay and severe performance issues (on the PC version) have dragged down the overall experience. The Hong Kong Massacre has nothing new to offer, the levels are linear and the boss fights are repetitive, and the story is not appealing either. All that said, it is still a very fun game that can even be addictive if you take it seriously. While its trial and error approach to level design may discourage some, those looking to fill a Hotline Miami-shaped hole in their gaming diet could do a lot worse than Vreski’s beautiful, balletic, bullet buffet.